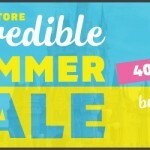 Bundles of Savings: Epcot Food and Wine Festival Midpoint Sale! We’re halfway through the 2014 Epcot Food and Wine Festival in Walt Disney World…and we’re marking the occasion with a celebratory sale on our popular Disney Dining e-Books! Yup, keep on reading to discover more savings than you can shake a stick at. Snap up your books now, and don’t forget to take advantage of the bundle discounts for your upcoming trips! When you opt to get in on the celebration of savings, you’ll know our most recommended snacks, dining tips, and Disney food recommendations. See what other readers are saying about the DFB Guide Books HERE! We’ve done all the intensive work and research for you! 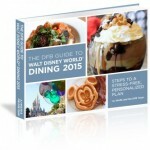 When you get our Disney Dining e-Book bundles, you’ll arrive Walt Disney World with a well-tested strategy to save money, save time, and have the best Disney World trip possible. All you have to do is HAVE FUN! If you are headed to Disney World in the next year, this bundle is a Disney traveler’s must-have. And we’re thrilled to be able to give it to you this week for $5 off using code SAVINGS. This Bundle is priced at a huge discount already (over 20% off), extending a great deal to our readers (AND their friends!) headed to Walt Disney World. 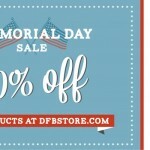 And with our extra $5 off this week, you get a tremendous deal on these DFB guides. 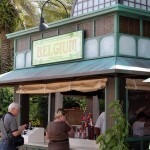 Of course, we’ve got you covered if you’re headed to the Food and Wine Festival and need some great tips in a hurry. With the amazing discount on our 2014 Epcot Food & Wine Festival e-Book, you won’t have to waste your vacation time and dollars on food you won’t love. Our already top-selling guide is yours this week for $4 off with code SAVINGS. With over 220 pages and multiple bonus items, it’s jam-packed with the information that you need to make the most of your festival experience. 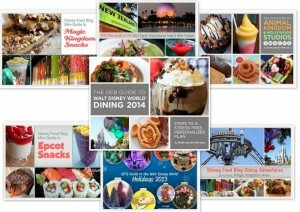 Find out more about the DFB Guide to the 2014 Epcot Food and Wine Festival e-Book here! Whether you’re a festival pro or newbie, you’ll appreciate having an organized plan before your Epcot arrival. Do you dream of finding a favorite new wine? Comparing numerous craft beers? Taste testing dozens of dishes? Or meeting a celeb chef? 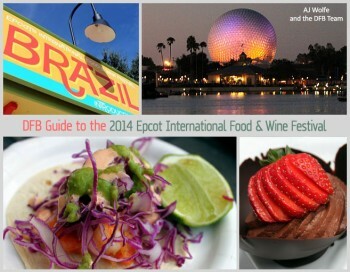 The DFB Guide to the 2014 Epcot International Food & Wine Festival will help your Festival dreams come true. 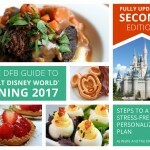 The Food and Wine Bundle highlights our best-selling DFB Guide to the 2014 Epcot Food & Wine Festival and the critically-acclaimed DFB Guide to Walt Disney World Dining! This bundle is packed with everything you need to head to Disney World AND the Epcot Food and Wine Festival. Grab the Food and Wine Bundle for $4 off using code SAVINGS. You’ve probably figured out that snacks are a major food group here at Disney Food Blog — and we’ve created a bundle for all of you who have the same cravings! 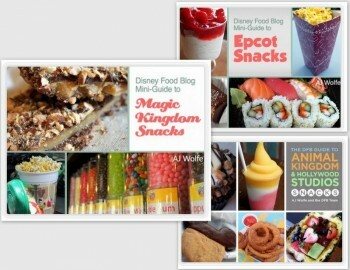 The Snack bundle offers the DFB Guide to Magic Kingdom Snacks, the DFB Guide to Epcot Snacks, and the DFB Guide to Animal Kingdom and Hollywood Studios Snacks together! These books vibrantly display some of Disney World’s classic snacks, but also observe some our favorite not-so-common treats and eats in the parks. Get your Snacks Bundle for $3 off using code SAVINGS. Find out more about the Snack Bundle here! Bring Them With You Wherever You Go! We hope you’ll take advantage of some great bargains! Stay tuned to our 2014 Epcot Food and Wine Festival Coverage for all the latest from the Festival!